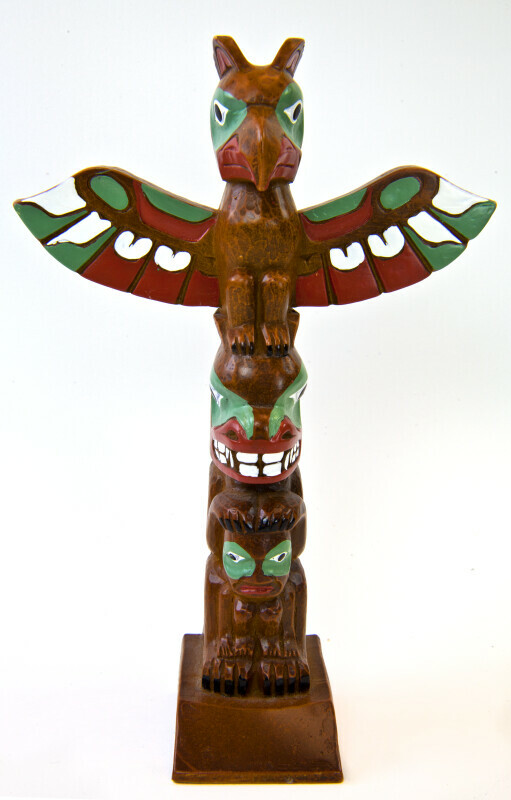 Winged totem pole made with composite wood. From Canada. The figure is 8 inches tall.